- Prevents flaking of paints. Our Epoxy Putty is quite suitable to be applied in art woks, preventing leakages and filling dents on different surfaces. 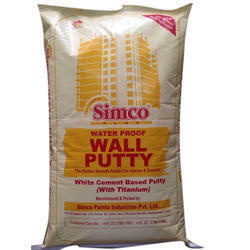 We offer this putty in two forms normal setting and fast setting. Piocol-100 is a ready-to-use , aluminum filled metallic repair putty. Piocol-100 a non sag metallic paste , hardens into metal form. It bonds to metallic and non metallic surfaces . Piocol-100 metallic repair putty can be applied directly from the can. 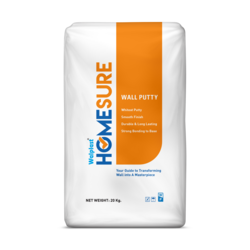 Efflorescence Preventive Putty HomeSure Premium Putty is non-curing wall putty specially developed as a finish coat to cover unevenness and pinholes in plastered surfaces and to make the walls/ceilings ready for painting. It resists efflorescence in plastered walls. It is also highly water resistant. As it is white, it can be treated as a base coat for primer and painting application. GUJRAT PAINTS IS IN TRADING SINCE LAST 35 YEARS IN THE NAME OF GUJRAT LIME IN JALGAON. (MAHARASTRA) GUJRAT LIME ALSO STARTED ITS NEW FIRM BY THE NAME OF COLOR POINT IN JALGAON AFTER THIS, ONE MORE ORGANISATION IS ESTABLISHED BY THE NAME OF MEMON CONSTRCTIONS SO WE ARE IN TRADING, RETAIL, CONSTRUCTIONS AND NOW IN MANUFACTURING. Supported by a team of diligent professionals, we are offering a gamut of Devcon Flexane Putty to our valued clients.